Bug report: If you there are more than 2 pages of settings on the Lib Config screen, when you arrive at the 3rd page the selected line glyph disappears and won't return until you exit and reopen Lib Config. Notice there is no glyph on the left hand side of the list. Last edited by phkb on Fri Feb 16, 2018 1:55 am, edited 1 time in total. Had a nameless Boa appear which had Primary role: lib_test in its [dumpState]. Cody wrote: Had a nameless Boa appear which had Primary role: lib_test in its [dumpState]. I use RSN and a ship with no name stands out. It was simply labelled Boa. 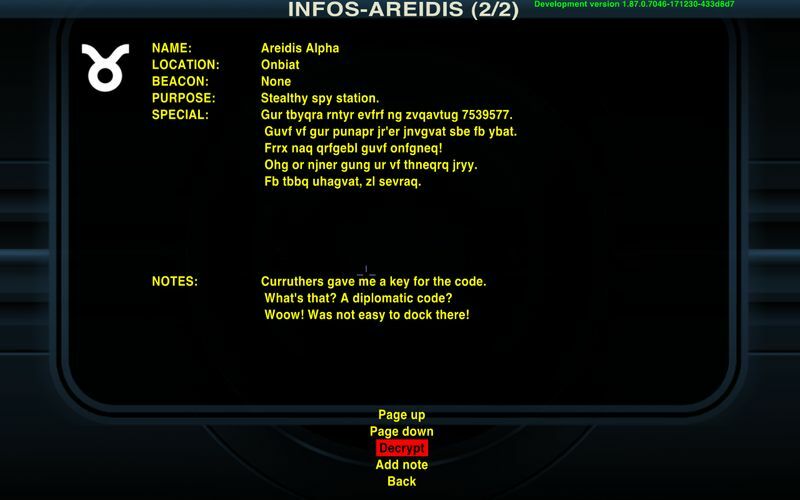 Cody wrote: I use RSN and a ship with no name stands out. It was simply labelled Boa. All is well. It's purpose is only to see if custom entities are changed, so that AddOns may react accordingly. Boas to the left of me, Boas to the right, here I am - stuck in the middle with you! 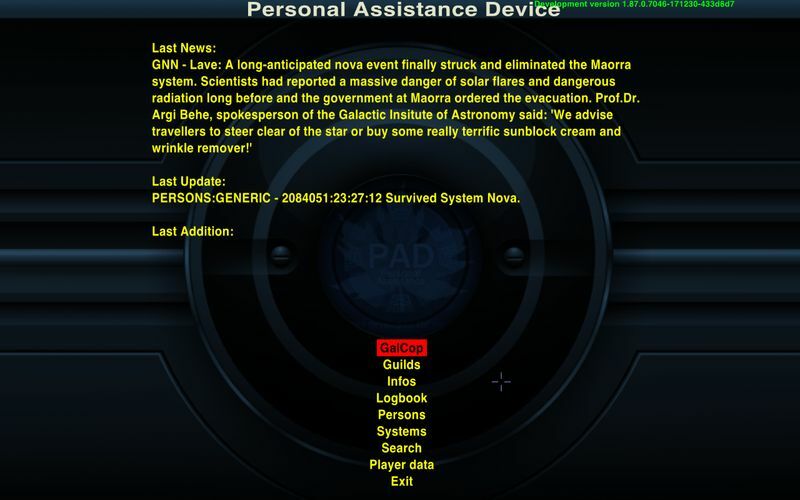 - Preparations for coming AddOns. - Added some materials textures for environment shaders. But before I'll continue working on this new feature I'd like to get some input / thoughts about it. 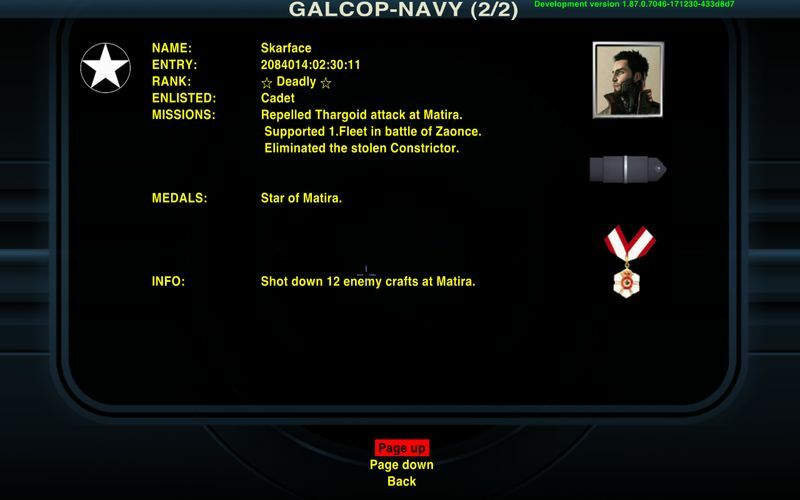 - GALCOP: A standard entry, but after doing specific jobs it will contain an entry for the Navy as well. Other AddOns may add more. 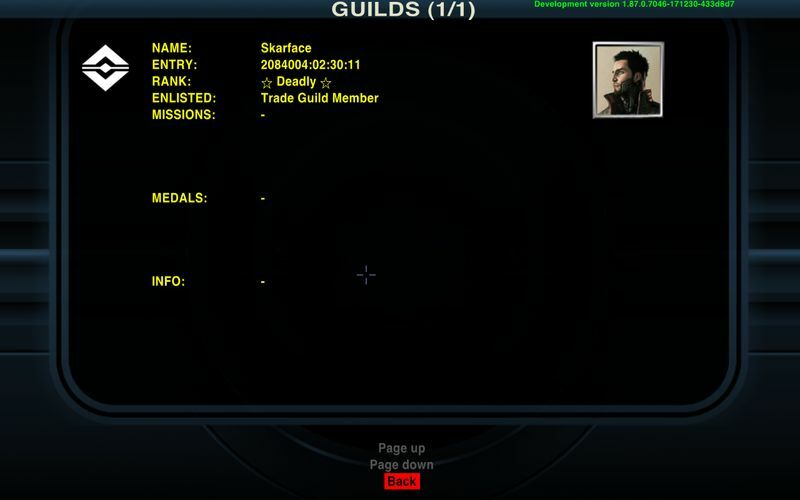 - GUILDS: An empty entry atm. Could be used e.g. by RandomHits, Feudal States and other AddOns which do have a membership. - INFOS: A category for special events, news, etc. Could be useful e.g. for BloombergMarkets, etc. - LOGS: A category for standard events like rescued escape pods, bailed out, fined, etc. Could be used for contracts as well. - PERSONS: A category for characters you have met. - SYSTEMS: A category for special systems like Tianve, Tionisla, etc. 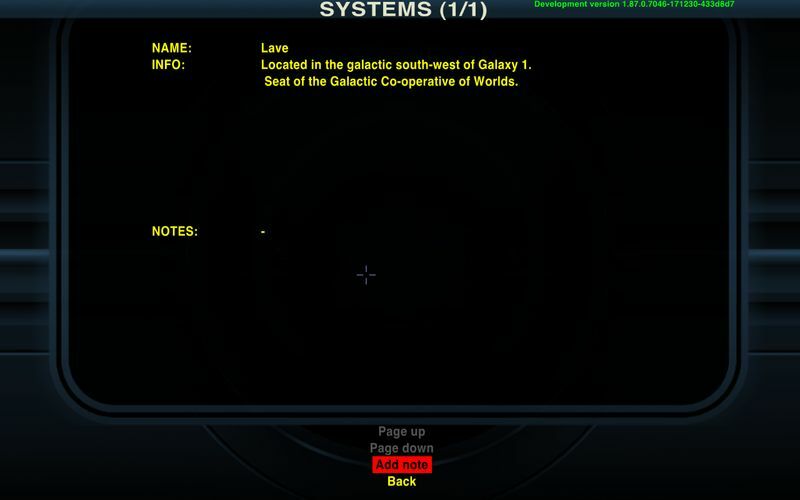 The PAD also ships search functionality and some categories do allow the player to add custom notes. The display of these pages is based on templates, so all pages in a category will have the same layout. AddOns can add data easily to existing pages or add a new page in existing categories. 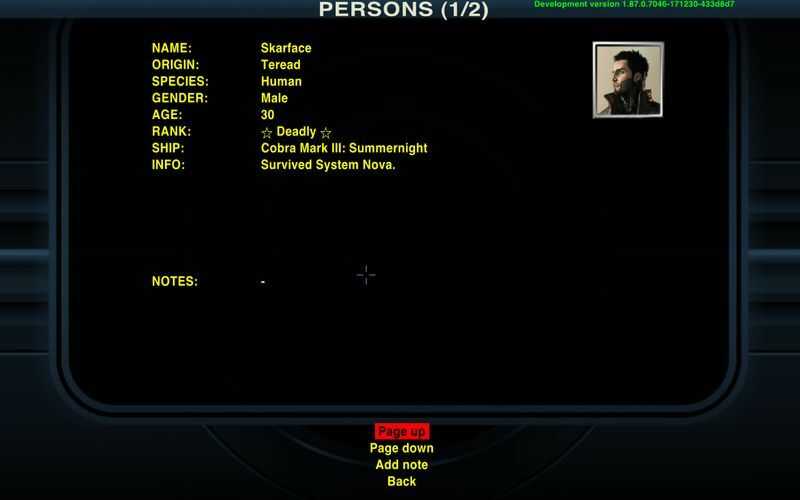 Another feature is to set player specific data, like origin, species, gender, age and a custom picture. So, what kind of feature would be missing (e.g. writing the LOGS to Latest.log)? I guess pictures will show a bit better what the PAD will be. The avatar pictures have been created by BlackWolf. Many thanks - and a great job. 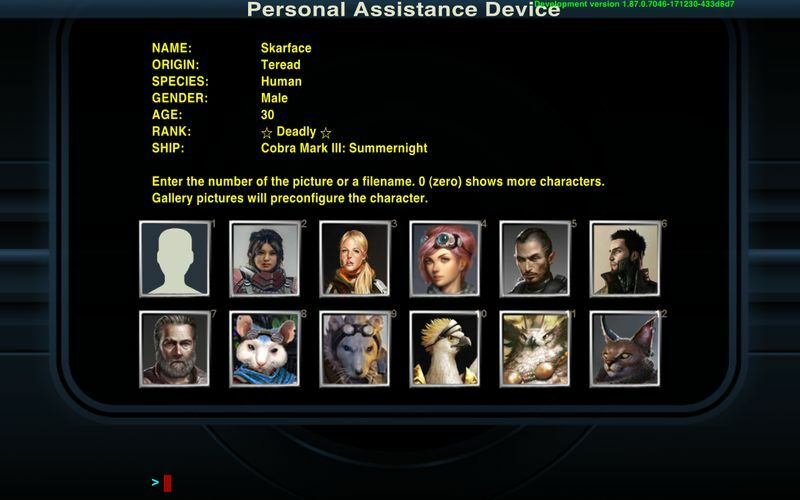 Library will show nearly 100 different character pics as resource for other AddOns! But as it is just a sneak preview, don't forget that the content is not really finished and will be the next step. I like it, specially GalCop-Navy and Guilds will probably make my life easier for the missions to come. Would one be able to insert a custom character pic?